The quality of the office environment usually determines the overall quality of work performed by the employees. That’s why it’s very important to create a workspace that’s going to serve not only as working area, but also as a place of stimulation and motivation in order to make the people working there more inspired and productive in their line of work. There are different aspects that can contribute to the complete ambience of the workplace, so it’s crucial to thoroughly consider the following factors, if you wish to create a highly productive workspace and have dedicated and ambitious employees in your company. These are a few design tricks that might help you achieve the desired atmosphere and of course, the desired work results. The use of colour in interior design has been noted as one of the most significant features, as it can greatly affect the overall productivity, moral and motivation of the employees. This is why it’s crucial to understand the meaning behind the psychology of colour and carefully choose the tones and hues which will increase the work rate of your employees. The use of colours, but also patterns and the amount of sheen can have a strong influence on one’s brain and mood, so it’s important to carefully consider not only the choice of these three factors, but also the method of painting itself. In the last couple of years, there have been numerous discussions about what type of floor plan is the most suitable for the workspace. The ongoing debate between open floor plans, which contribute to a more interactive working area, and secluded booths that allow employees to work privately without any commotion and disturbance, can finally come to an end, as the latest innovation in office design manages to consolidate both options in a one productive entity. The goal is to design such a workspace where workers will be able to exchange information and interact between each other without any obstacles, but at the same time have the ability to withdraw to a more intimate surrounding at any given moment. Designing such a space isn’t an easy task, but if you manage to accomplish this type of environment, you can expect a great increase in the office moral. Of course, what type of floor plan your company requires also depends on the company’s culture and you’ll want to implement this factor in the complete office design. 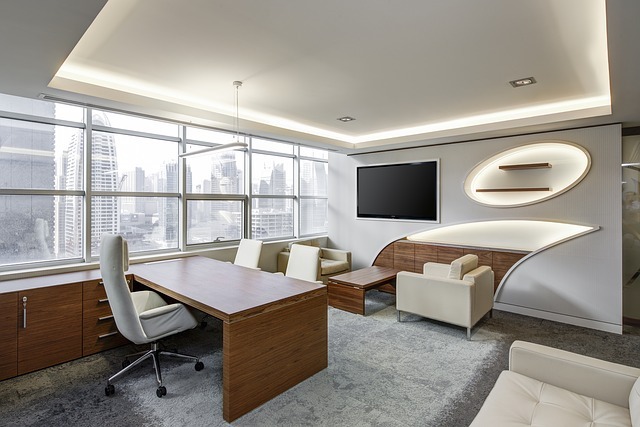 Illumination has always been a crucial component in décor, but it has gained enormous recognition when it comes to office décor. This is because proper lighting, similar to the choice of colour, has the ability to affect people in a psychological sense and make them more or less productive. 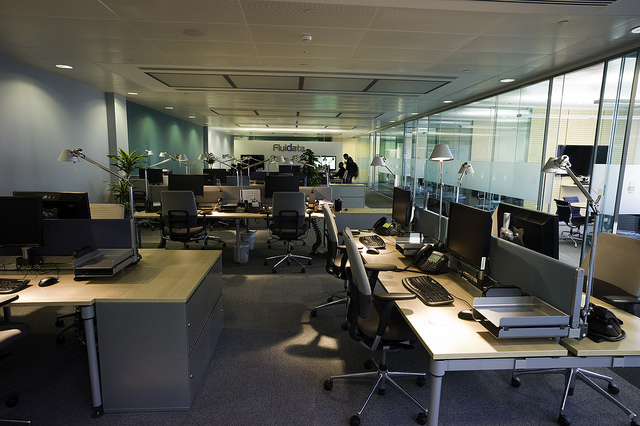 Natural sunlight has been proven to increase the mood, energy and overall motivation of the workers, so learning how to implement more natural light into the office is the first step towards a highly productive workspace. Other than that, both dim and harsh lighting can result in lack of focus, migraines, bad eyesight and drowsiness, which is why replacing all fluorescent lights with some more effective alternative lighting systems can greatly influence the overall productivity of the workers. Lastly, the overall quality and placement of the office furniture is also one of the key factors of a good office design. Melbourne office furniture experts claim that a quality office furniture can significantly increase the motivation and productivity of the employees, as well as contribute to a more dynamic workspace. 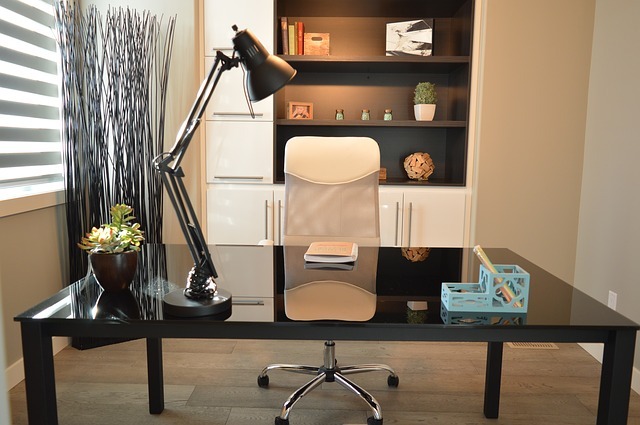 Ergonomics are a crucial factor when choosing good office furniture, which is why standing desks and ergonomic chairs have gained a great deal of popularity over the years. The same goes for the general placement of the furniture, but this factor greatly depends on the already set floor plan of the company. The general quality of the workspace depends on a lot of different factors, but if one manages to implement all these crucial components into the working area, it’ll, without a fail, contribute to a more productive workspace and motivated employees. These are just some of the things that can significantly increase the office moral and should be considered when designing an office space. Author’s Bio: Lana Hawkins is a crafty girl and an architecture student from Sydney. She enjoys writing about inspiring interiors and home improvement projects. Lana is the editor-in-chief on Smooth Decorator. Faux or textured painting is one of the easiest things you can do if you’ve ever wanted to give a room in your home a fresh and new look. Adding a textured look to your walls will definitely add a dimension of creativity and sophistication to any room. Whatever you want to achieve, there are different faux painting techniques that you can try for this project. Some of these you can do on your own, though some might need to be done by a professional painting contractor. Since we’ve already given you an idea of how textured painting will liven up your walls, here are some more ways you can use it for decorating your home. The good thing about textured painting is that it can help you achieve the look and feel you’ve always wanted for your space by using only paint and some tools. Doing a concrete faux finish by using white, grey and black paints as well as glaze and a plaster blade will allow you to create a contemporary yet soft look that’s easy on the eyes in spite of the colours. The slightly distressed look of this finish will add an interesting visual texture to any space and give it a fresh and modern look at the same time. Wood graining is probably one of the most popular textured painting finishes, and with good reason. If you want a wall or a piece of furniture to be painted in a dark colour and have a striking look, this is something you should try. You will need to buy a wood graining tool which you will drag down the wet glazed wall. To add more texture, you can randomly rock the graining tool in some parts so that you can also achieve the normal course of graining in wood. Similar to wood graining, combing is another textured painting technique where you will only need to work with the glaze instead of the base coat. You will only need to drag a combing tool or a special brush from the top to the bottom of your wall. You can do this from left to right as well. You can try doing this for rooms or walls that you want to paint in bright hues, just to give it a little more texture that will allow it to it stand out and shine even more. Many homeowners forget that the ceiling is the fifth wall, so many miss out on the opportunity to add colour to a room by painting it. It also happens to be one of the best places to do faux finishes, so try to take note of it when repainting your home. You can easily transform your space by applying a textured painting technique when painting your ceiling. You can go for a Venetian plaster, sponging, or whatever fits the décor in your room. 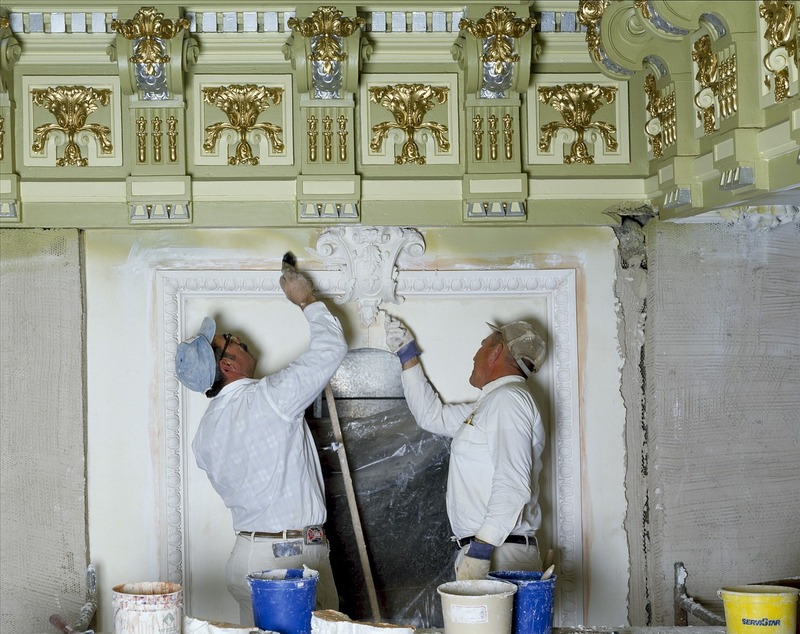 If you have existing columns, corbels, wainscoting, or trim that you would prefer to be marble instead of any other material, why not paint over them instead? Marbleizing is a textured painting technique that will help you create a polished marble look for these details. You can use a sponge to give them the appearance of being made out of natural stone. You can instantly add an old world feel to your home by using this technique. Those whirls and swirls in neutral colours will definitely give your space the European charm that you want for it. For a casual and appealing vibe to your interiors, you can try denim painting if you want an informal look. This textured painting technique is done by using a small brush to create small crisscross patterns horizontally and vertically on walls, similar to denim. This slight pattern is muted and not overwhelming and will suit any laidback home. You can achieve the look of your favourite denim jeans using this technique. There are a lot of textured painting ideas for homeowners, and some will suit your home more than others. Whether you are going for a contemporary vibe or choosing a rustic feel, there will be a faux finish that’s perfect for you. Not only will you add character to your home, you will also create a space that will truly represent you and your family. Ask your painting contractor about your options, and learn about these techniques to see if you can do it yourself.